Arm height and width are adjustable. 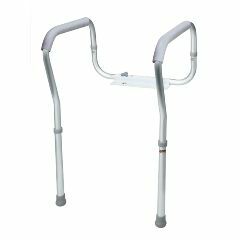 AllegroMedical.com presents The Toilet Safety Frame. Waterfall armrests provide additional comfort and support. Arm height and width are adjustable.